Ocean Grove Cricket Club has wasted no time in appointing its new assistant playing coach as they strive to win an elusive A Grade title in 2018/19. New recruit Anton Scholtz will be senior playing coach and Paul Jubber’s right hand man for the upcoming season. The Surf Coast based father of two Scholtz, 41, has a strong cricket pedigree having coached and played overseas at a high level in Ireland. The batting all-rounder has played more than 220 games for Victorian Premier Cricket club Melbourne, including 55 first XI appearances. Scholtz, South African born who moved to Australia as a six-year-old, will return to playing cricket in 2018/19 after a few seasons off due to family commitments.“I have had a couple of years out with family and kids and so forth and moving down to the coast a couple of years ago, so it is an attraction to get back into things while the body is okay,” said Scholtz, who captained-coach Dublin-based Leinster Cricket Club in Ireland from 2009-11. He was a teammate of Jubber’s at Melbourne, and Jubber said his inclusion will be invaluable. “To have someone like Anton who is outstanding for the club, he will bring a wealth of experience,” he said. Scholtz, alongside Jubber, has already met with several Grubber players in recent weeks. Scholtz admits there is a buzz and excitement amongst the playing group ahead of the 2018/19 season. “There is an energy around the club that is really exciting – they know success is sort of imminent,” said Scholtz. “The club has come on leaps and bounds in the last few years – they have got a huge amount of young talent there. 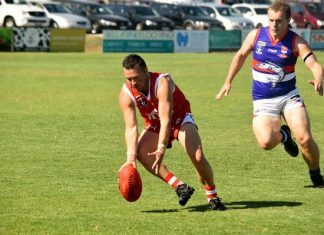 The Grubbers went close to breaking their 15-year A Grade premiership hoodoo last season after a runner-up finish against premiers Anglesea. Ocean Grove’s last A Grade premiership was in 2002/03. IN other off-season developments Paul Jubber re-committed as senior coach for another year at Ocean Grove. Jubber confirmed there was a level of unfinished business despite Ocean Grove winning the overall Ron Lloyd Club Championship Bellarine Peninsula Cricket Association Shield in 2017/18. “There was an element of unfinished business – I am generally excited about the energy around the place,” he said. 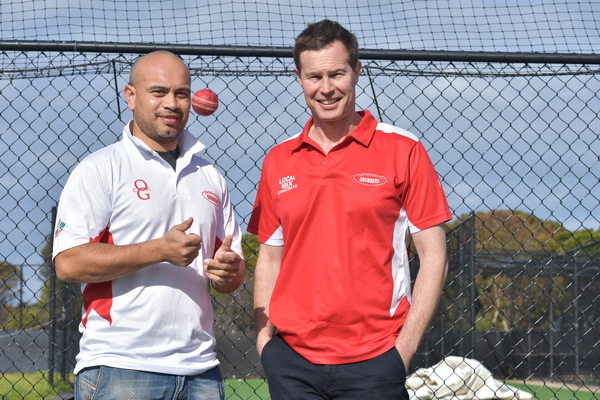 Ocean Grove Cricket Club will commence pre-season training in early August.